OSHA requires that "complete inspections of the cranes shall be performed...". At Simmers Crane Design & Services we fully understand the Code of Federal Regulations requirements so you don't have to. 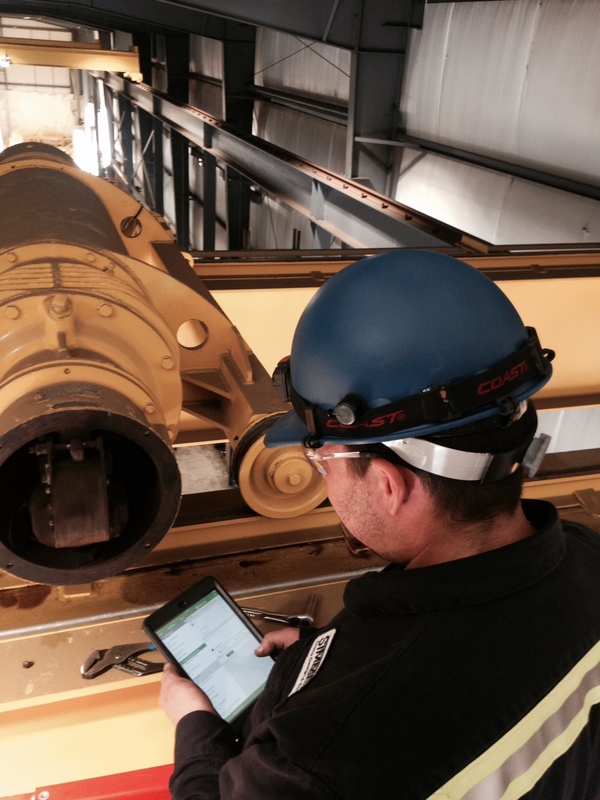 We fully train our Service Technicians to perform proper crane and hoist inspections. When the inspection is completed, our Service Department will provide you with a comprehensive inspection report for your records. 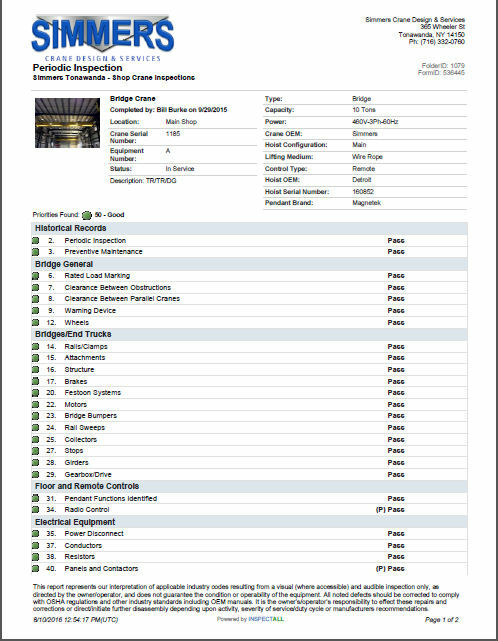 To keep your equipment in reliable and safe operation and to have the appropriate documentation, count on the Simmers professionals.